Guest post by Joe Laing, Marketing Director for El Monte RV Rentals. 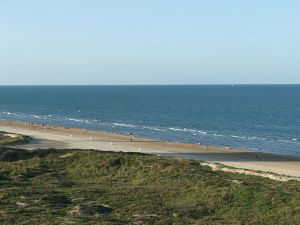 RV campers travel to Texas year-round because they know the Lone Star State is home to so many exciting destinations. Here are ideas for every kind of RV traveler's unforgettable Texan adventure. Like to hike? Most Texas state parks are home to miles of hiking trails just waiting to be explored. Lost Maples State Natural Area in Vanderpool offers beautiful hiking trails that lead through maple forests and follow the Sabinal River. 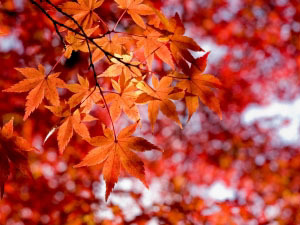 Enjoy gorgeous red, orange, and yellow colors in fall. Looking for great golf near a first-class RV campground? Veteran "RV golfers" can attest there are golf courses (and comfortable RV campgrounds) in every part of Texas. Private RV parks with their own golf courses or privileges at a local course can be found from Danbury to Terlingua. Just search for "Texas RV golf" online to find plenty of camping and golfing destinations.Get the ball rolling at Lockhart State Park, which offers both a 9-hole golf course and modern campsites with full hook-ups. Both freshwater and saltwater fishing are huge in the Lone Star State, so try your hand at bass fishing on the Brazos River, catching trophy catfish on Lake Conroe, or striper fishing at Toledo Bend. Go tubing on the Guadalupe River, kayak the lower Colorado River near Fredericksburg, or jog the beach at Padre Island National Seashore; active RV camping fans will discover plenty to do outdoors in Texas. When you think of Texas history, you may think of cowboys, the Alamo and LBJ, but do you also think of three-hundred year old Spanish missions, ancient pictographs and Washington-on-the-Brazos? If you don't, it's time to visit the dozens of historic sites in Texas. A great place to start planning is the Texas State Parks & Wildlife Department's list of historic sites. Top picks from RV camping history buffs: CaddoMounds State Historic Site for a look into ancient Native American customs; the 25-mile ride on the historic Texas State Railroad through the "pineywoods" of East Texas; and Battleship Texas in LaPorte (while you're there, also visit the San JacintoBattlefield State Historic Park). By all means, visit the Alamo, other missions, and the venerable El Mercado district of San Antonio. · Enchanted Rock State Natural Area - a four-story, pink granite dome on Big Sandy Creek. · Aransas National Wildlife Refuge - a San Antonio Bay oasis where one trip along the scenic drive can net a whole vacation's worth of wildlife photos. · Caprock Canyons State Park - located in the Panhandle region, this park is filled with redrock canyons, lush forests and a 64-mile Trailway accessible by hikers, bikers and horseback riders. · Padre Island National Seashore - a Gulf Coast gem offering beaches, marine life viewing, fishing, camping and the chance to simply soak up the sun in a beautiful place. Photos courtesy of El Monte RV Rentals. Read stories by Beverly Burmeier and other professional travel writers at Striped Pot.